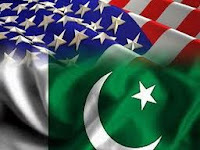 For the second time in a week, the foreign office summoned the acting US ambassador to record Pakistan’s “strong protest” over a resolution recently tabled in the US House of Representatives backing Balochistan’s right to self-determination. “Ambassador Richard Hoagland was told in clear terms that the move in the US Congress was contrary to the spirit of friendly relations and violative of the principles of the United Nations Charter, international law and recognised norms of inter-state conduct,” said a statement issued by the Foreign Ministry on Monday. It may be added that the US administration may have expressed helplessness regarding the hearings and resolutions that have suddenly cropped up on Balochistan in Washington – but Pakistan isn’t buying it.